1st ODI India vs New Zealand: India captain Virat Kohli can do what former captain MS Dhoni and Sourav Ganguly could not. 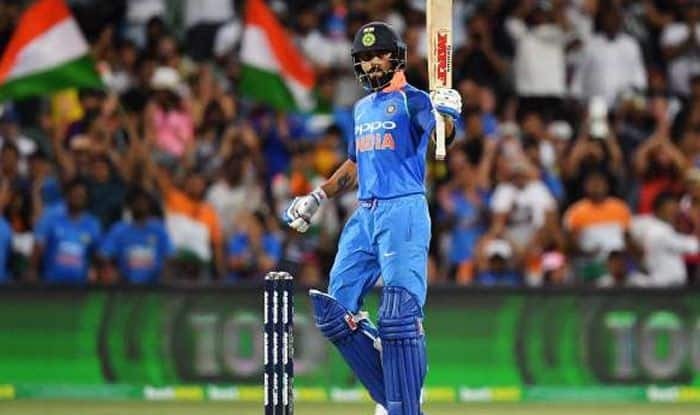 Kohli could become the first visiting captain to register a century against the Kiwis in the upcoming five-match ODI series. 1st ODI India vs New Zealand: India captain Virat Kohli can do what former captain MS Dhoni and Sourav Ganguly could not. Kohli could become the first visiting captain to register a century against the Kiwis in the upcoming five-match ODI series. No other touring Indian captain has been able to hit a century against the Kiwis in their backyard, but given the form Kohli is in, no one can write it off. Kohli will have five opportunities of doing it. Kohli already has a ton to his name in the country but not as a captain. Kohli also has two other milestones in his sight when India lock horns with Kane Williamson’s Blackcaps in a five-match ODI series. Kohli could break one and equal the other in the opener itself. He needs a century to equal Virender Sehwag for most centuries by an Indian against New Zealand. Sehwag has six, whereas Kohli has five and is equal with Sachin Tendulkar. Kohli also needs three runs to pip Sehwag as the second leading run-getter against the Kiwis in One Day Internationals. The second one is the more probable one as he needs merely three runs to go past Sehwag. But, given the form he is in once he gets a sighter he usually converts them into centuries, hence one cannot rule out the most centuries against the Kiwis. The Kiwis have won 21 out of the 35 games played in New Zealand. The last time India toured New Zealand in 2013-14, the faced an embarrassing 4-0 whitewash. However, India had won 3-1 in 2009 with MS Dhoni’s India being the first Indian team to win a series in New Zealand. The 1st ODI is slated to be played on January 23 at Napier.